The Human Organ tuning fork set contains 15 individual forks, one for each of the major organ-or organ system-of the body. All sizes for the tuning forks listed below are approximate. Since this set includes the Muscle and Fat Cells tuning fork, you don't need to buy the Cellulite Reduction set as these are the two forks that are included in that set. Save $$$. 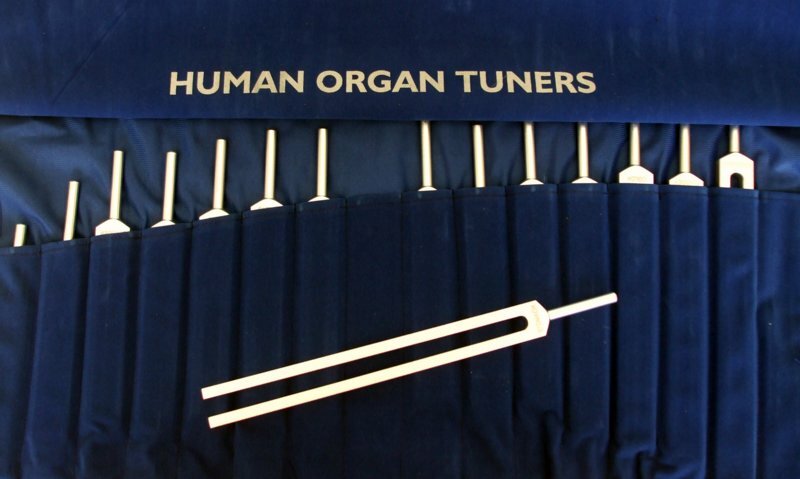 Weighted Human Organ tuning fork set. Cost: $319.99 plus $13.99 postage in U.S.A. Call for prices outside of U.S.A.
Unweighted Human Organ tuning fork set. The Human Organ tuning fork set contains 15 individual forks, one for each of the major organ-or organ system-of the body. Cost: $169.99 plus $13.99 postage in U.S.A.